Some of you may be surprised to know that the UV4L Streaming Server not only provides its own built-in set of web applications and services discussed extensively in other tutorials, but also embeds another general-purpose web server allowing the user to run and deploy her own custom web apps. It’s “two servers in one” (listening to two different ports). Any browser on any device (PC, Android, etc..) should be supported and no third-party plug-in needs to be installed, as this example is entirely based on web standards. For the sake of simplicity, we will deploy this web app on a Raspberry Pi with a camera module connected to it, although the procedure would be the same with any other supported architectures or video devices. It is left as an exercise for the reader to remove the video processing step, if not needed. First of all, install all the packages required according to these instructions, typically: uv4l, uv4l-server, either uv4l-webrtc or the one specific for your architecture (e.g. uv4l-webrtc-armv6) , uv4l-raspicam, uv4l-raspicam-extras and uv4l-demos. 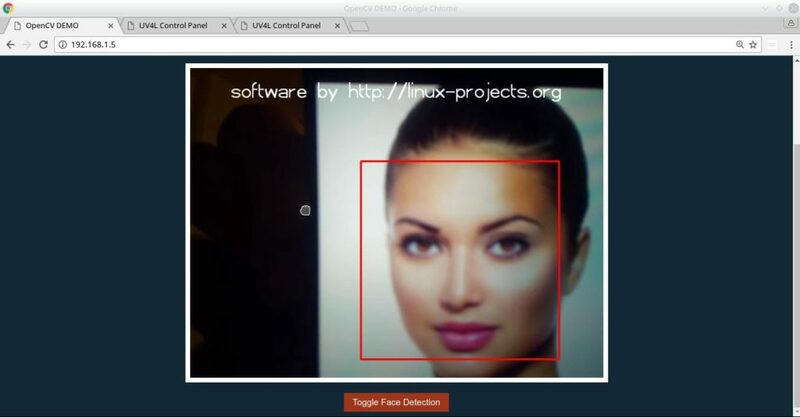 cv.js, cv.data, the OpenCV.js library itself. The signaling aspect is probably the most interesting thing, in that is the key for UV4L to be integrated with other third-party WebRTC-based frameworks (remember that WebRTC is not limited to browsers). Of course, this is just the tip of the iceberg. 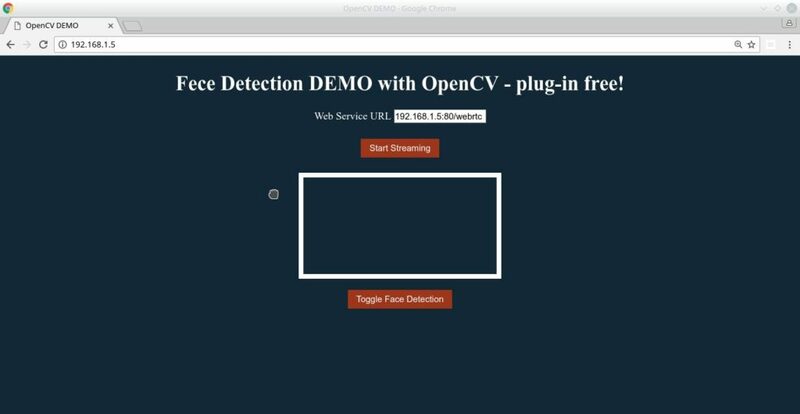 You can enhance or fork this simple web app in order to also support, for example, audio processing in the browser or, more in general, bidirectional streaming of audio/video/data that allows to implement funny things like the FPV robot shown in this demo. For a more comprehensive example about 2-way audio/video/data you can always take inspiration from source code of the built-in page available at http://<rpi_address>:8080/stream/webrtc. For more sophisticated N-to-M peers scenarios like video rooms, see this.